i just bought this flour and planning to bake with it. 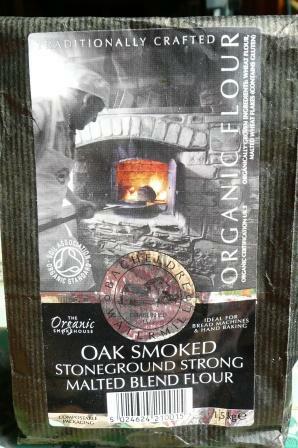 So you think I shouldnt use all oak smoked flour? 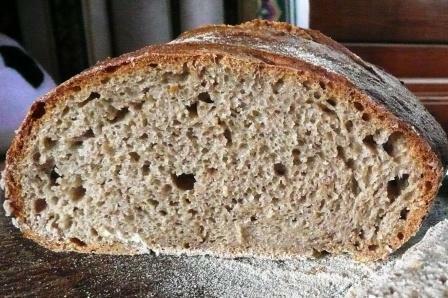 Hi ninaki – I found my loaf made with all oak smoked flour on the heavy side, so I suggest you take into account how much you enjoy a granary loaf, as the result was a fairly wholemeal-biased wood-fired version of that, and maybe blend in some white flour in a 1:5 ratio to begin with and see how well you like that. Hard to say as there’s no right answer, but I hope this helps – and your loaf is what you’re hoping for! Sorry Galen, but living in the UK I don’t have any dealings with online stores in the US. If you can’t buy it, maybe make it with a home smoking kit? Good luck!